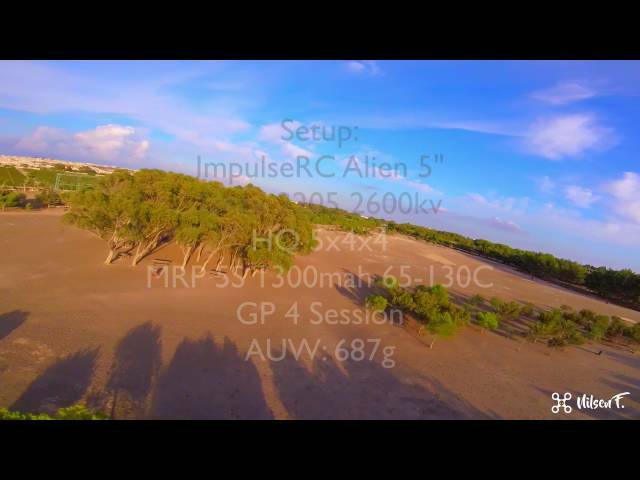 Top speed test, with the ImpulseRC Alien, with a 5S batt, 5x4x4 props, and 2600kv motors. 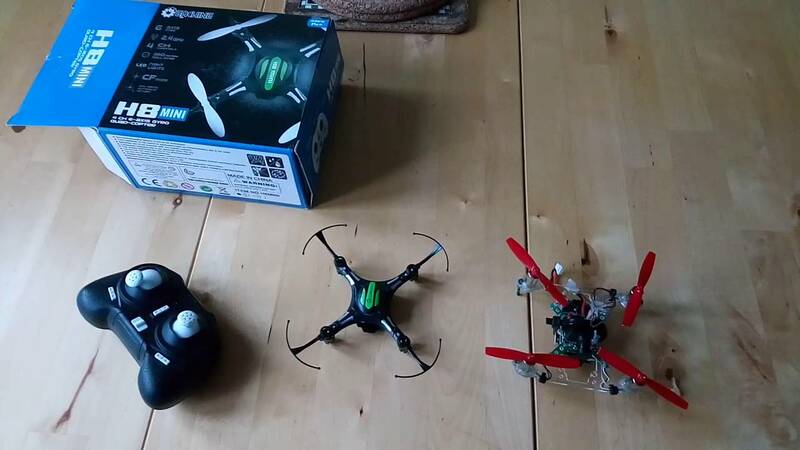 My objective was not max speed with the best 2/3 bladed prop, but the max speed with the 5x4x4 I daily use. 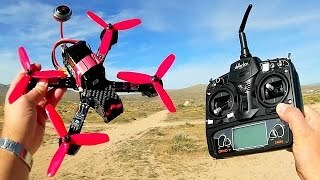 I tried as well the Racekraft 5x4x4 (transparent blend) on a similar run, but had to stop midway, as the propellers couldn’t handle the power, flattening and resonating/producing a very loud, disturbing screaming sound, slowing down/shaking the craft. Interesting. You would be a lot faster with a 2 bladed propeller. Since it’s capable of going to a much higher rpm.